It’s finally here! We recently applied for the American Express PRG card a few hours before the switch to the Amex Gold Card, and we were surprised to receive the new metal card. Scroll down to the bottom of the post to watch the unboxing video. Gold is the default metal card color when you apply for a card, so we’re still waiting for the rose gold edition to arrive. 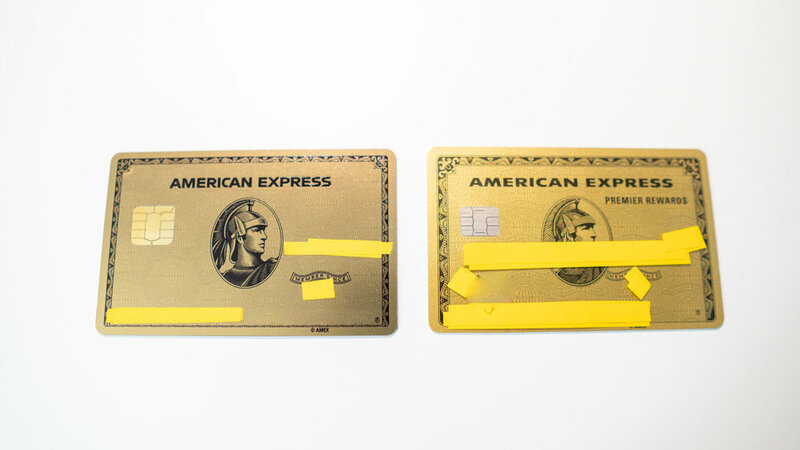 The “new” Amex Gold card is made out of metal, while the “old” Amex PRG was plastic. The card was also revamped with new benefits, so the “Premier Rewards” name is gone. How Heavy is Amex Gold Card? 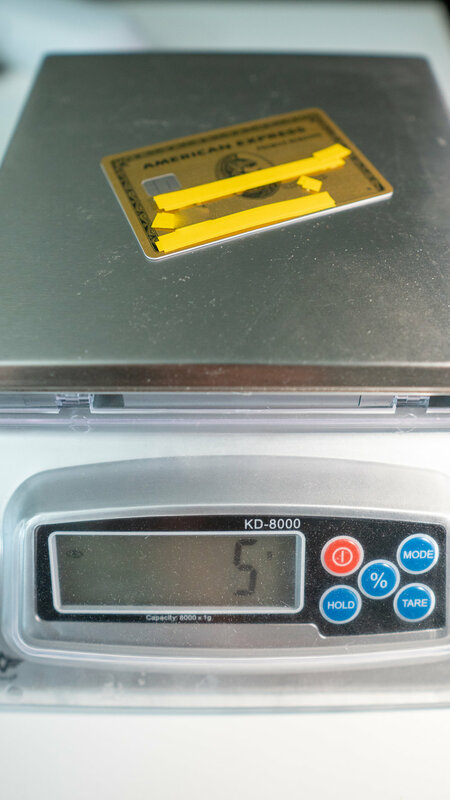 A frequently asked question is, “how much does the Amex Gold card weigh?” The Amex Gold card weighs 15 grams. The plastic Amex PRG card weighs 5 grams. 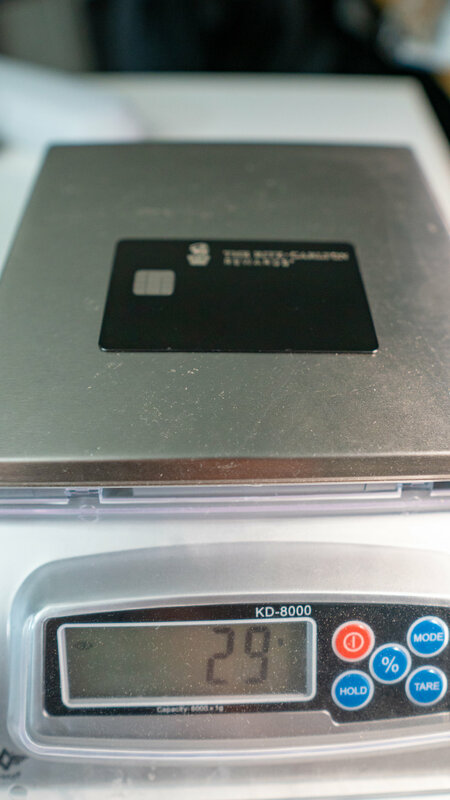 The Ritz-Carlton card is the heaviest regarding weight when you compare it to the Amex Gold, Chase Sapphire Reserve, Amex Platinum, and Ritz-Carlton.